I’ve been thinking a lot lately about creating intentional space and how knowing when to let go is an inescapable part of that process. As much as I want to be able to do everything at once, the annoying fact is that doing so isn’t possible, at least not in a way that’s healthy, sustainable, or reasonable. Eventually something is going to give, and I have a responsibility not just to myself but to the people, organizations, and communities to whom I’ve made commitments and want to give my all, to admit you are no longer the best person for the job (especially since I spend a lot of time on social media encouraging others to take care of themselves by doing exactly this. Le sigh, hoisted by my own petard). Sometimes the best thing you can do for the things that matter to you is to admit you’ve hit your limit, make sure any outstanding obligations are fulfilled, say goodbye and thank you with grace, and make space for someone to pick up where you left off and make it their own. And you hope that you’ve done your job right by leaving a solid infrastructure, reliable tools, and the knowledge you’ve acquired from years of hard won lessons so you’re giving whoever comes after the best possible start for their own success. This is all easier said than done, of course. It’s taken me the better part of six months to fully transition myself from away from my seat on the Full Moon Jam Foundation (I am one of the original board members) and hand over all my duties as the FMJ’s first Communications Manager. As of today, it’s official: after nearly a decade, I no longer have any official capacity as part of the FMJ aside from occasional volunteer and performer. 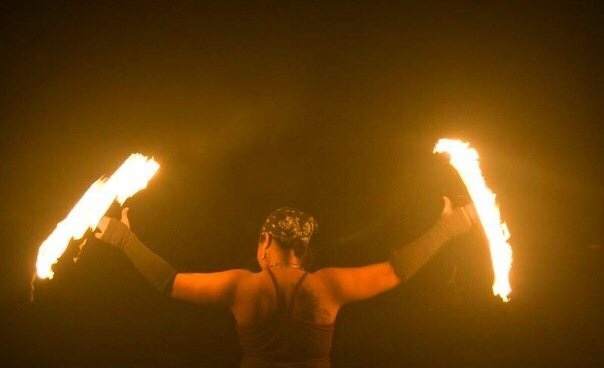 I first joined the Chicago Full Moon Jam organizers nearly a decade ago, not too long after I learned how to spin fire. Back then, the FMJ had a cozy-sized audience, and a tight-knit, welcoming group of organizers who were clearly passionate about sharing a beautiful art form openly and responsibly, with anyone willing to learn, pitch in, and be part of a vibrant community. Today, the FMJ draws considerable crowds and that tight-knit group of organizers have become friends, respected colleagues, and family. 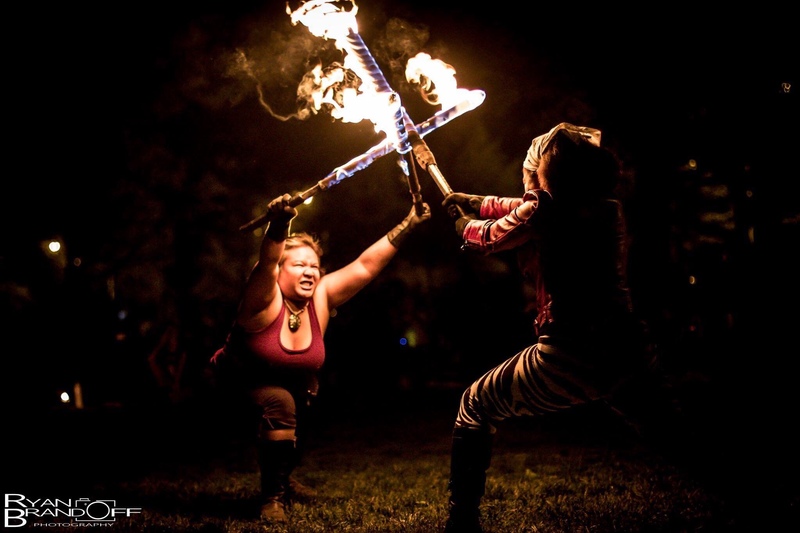 I will forever be grateful to those who invited me into the FMJ, first as a neophyte fire spinner, then as an organizer of the event itself, and later as one of the first members of the Full Moon Jam Foundation board. The past decade as part of the FMJ has been an enormous part of my life that’s affected me in ways I couldn’t have possibly expected, and contributed to both my personal and professional growth as a performer, community and event organizer, communications expert, and artist. I can honestly say that without my time as part of the FMJ in all these ways, I would not have developed the skills, knowledge, and confidence that has directly contributed to my success in other no less important areas of my life. One of the hardest lessons I’ve learned is knowing when to say goodbye, because I believe firmly in the importance and benefit of moving forward in one’s journey in order to make space for new, fresh, and vital voices and perspectives, but it’s also very hard to leave spaces that have become familiar and comforting, especially among people who are a constant source of inspiration and joy. As much as I’ve been avoiding it, that time has now come for me and my roles within the FMJ community. As we’re coming up on the start of another amazing jam season (April 29th is the first FMJ of the year, please be kind, weather gods! ), I’m formally stepping down from my role as a member of the Full Moon Jam Foundation board, and handing over management of communications for the FMJ to new hands. I’m pleased to share that long-time FMJ community member BK Ellison has joined the FMJ Foundation board in my stead, and FMJ organizers Mike Trahey and Radia Ali will be taking over communications and social media duties for the FMJ. I wish BK, Mike, and Radia the best of luck and have every confidence in their abilities to not just fulfill those duties, but to evolve and grow them even further to benefit the FMJ community. I’m excited to see where the jams will go next with them in these roles! I remain incredibly proud of the work I’ve done during my time as a FMJ organizer and FMJ Foundation board member. Seeing the FMJ’s blossoming partnership with the Chicago Parks District, and the FMJ’s establishment as an official Night Out in the Parks event has been a highlight of my time with the FMJ. 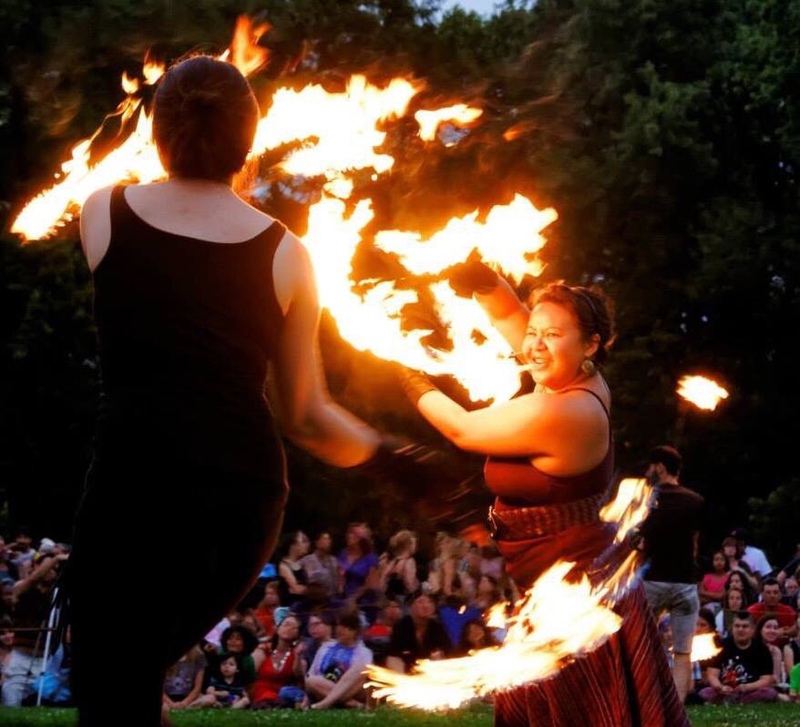 Every time the FMJ has participated in local events, such as the Halloween Parade downtown, the Walk with Light event on the 606 trail, and the Garfield Park Conservatory jams, this community has done a spectacular job of showcasing the best of what makes the FMJ so special. 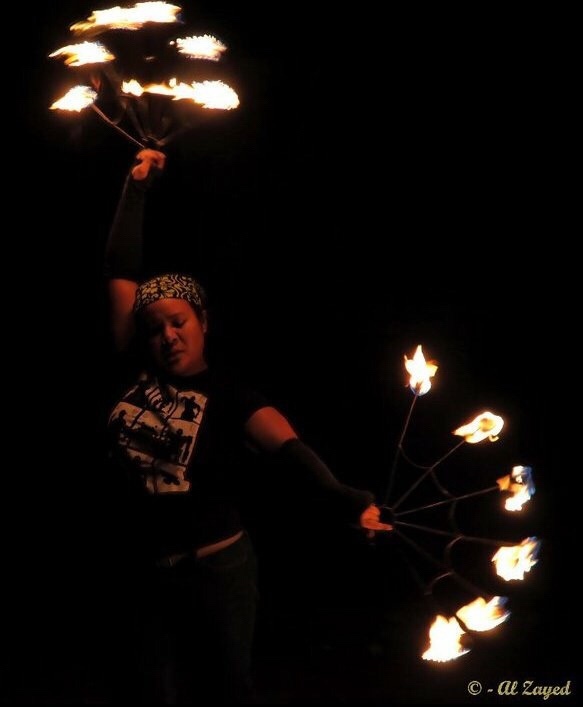 The ever-growing number of fire spinners who’ve performed at the jams, our adoption of standardized safety training practices, the number of enthusiastic volunteers who help keep each event going, and the absolutely stunning number of spectators who come each month, are all things I am pleased to have contributed to. This community has come so far over the past near decade and I cannot wait to see how it evolves next! I’m certainly not leaving the FMJ fully! You’ll still see me around online and at the FMJs! I fully intend to continue volunteering and helping out where needed, and I look forward to seeing everyone when the season starts and lighting up to the sound of drums under the full moon (and hopefully not getting eaten by *too* many mosquitos come deep summer). 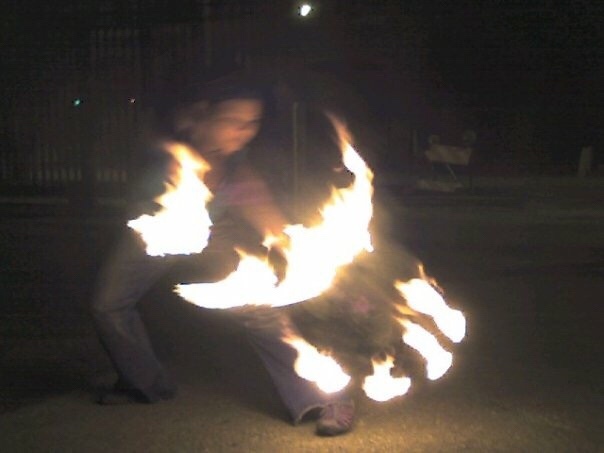 I’ll still be spinning fire, both at the FMJs and as part of Raks Geek (including the new offshoot show, Raks Inferno). 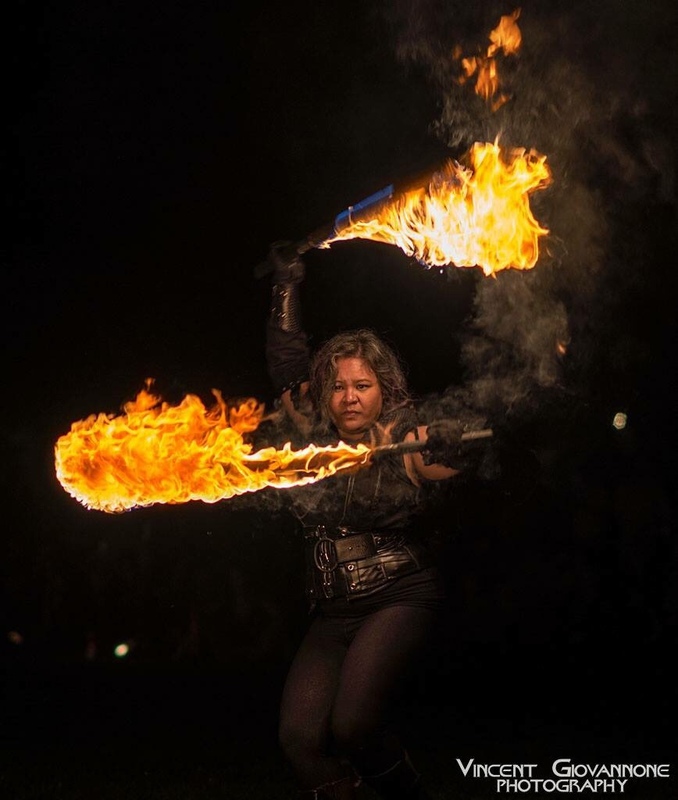 And if you’re of the nerdy persuasion, (hopefully you’re reading the two-time Hugo Award winning Uncanny Magazine), you’ll likely see me at conventions like C2E2, Wizard World, WisCon, and Worldcon/the Hugo Awards ceremony (someday I’ll figure out how to get the Hugo Awards ceremony to use fire spinning!). And most especially to Liz Campanella, who has never been anything less than enthusiastic and trusting about my abilities and what I could contribute to the FMJ. I have learned so much from Liz about what it means to build a community, to live passionately, and always be pushing yourself to try new things, no matter how inconceivable (I’m convinced that for Liz, the word “inconceivable” is nowhere to be found in her vocabulary). It is decidedly Liz’s fault that I became part of this amazing event and community in the first place, and I can’t thank her enough for it. I am going to miss being part of such a vibrant and creative group of organizers, but I can leave knowing the FMJ continues to be in the best possible hands, and with a full heart and fresh energy for the new projects and challenges awaiting me elsewhere. From the bottom of my heart, thank you to everyone who has ever been a part of the FMJ. Whether you realize it or not, you’ve contributed to the evolution and well-being of a truly unique event and community, and I’m grateful for the gift of this past decade. The Full Moon Jam has been a part of my life for nearly a decade. 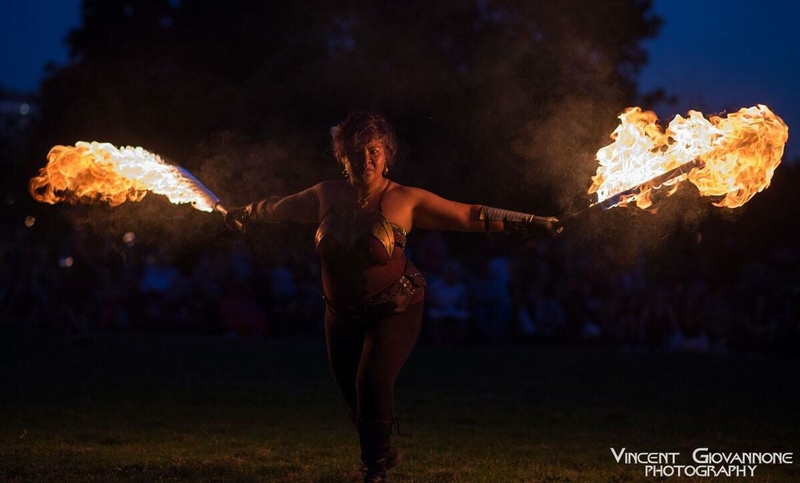 It’s irrevocably tied to when firespinning became a part of my life. I lit my tools for the first time in July 2009. A month later I spun fire at my very first FMJ, and the rest, as they say, was history. SHOCKING how I kept piling more on my plate right? Since turning 40 I’ve been trying to make a more concentrated effort to be kind to myself by acknowledging my limitations [grits teeth] and that it’s ok for me to let go of a few things to make time and space for other things I’ve wanted to do but have been neglecting (like writing). This was an extremely difficult step and I deeply appreciate my friends who’ve listened to me hemming and hawing about letting my FMJ duties go while firmly reminding me of how doing so is a good thing for both me and the event (because I need to be writing more. Also getting sleep. But mostly writing). Because burn out is real (pun not intended) and when you start viewing something that has brought you joy as chore, it’s time for a change. 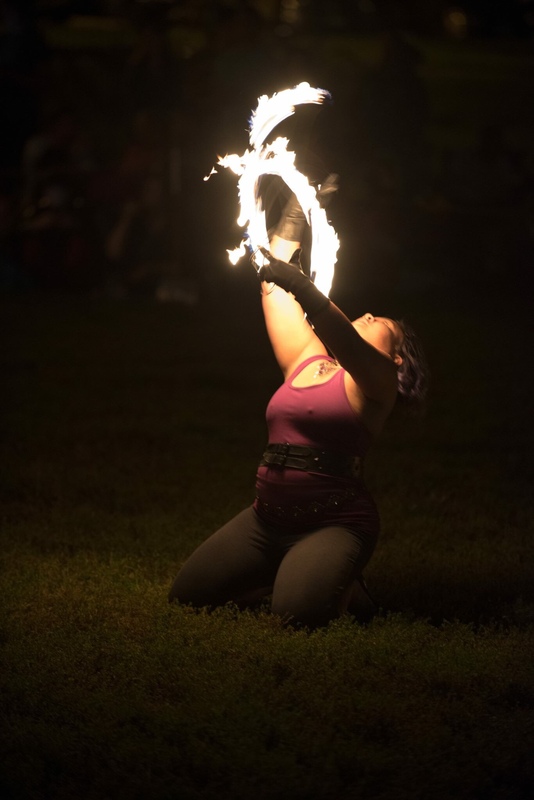 And while it is going to be WEIRD being at a FMJ and not be the one in charge, I find more and more that I’m excited about reacquainting myself with the jams as a firespinner and rediscovering that joy. Because at the end of the day, I do indeed love playing with fire and spending time with my friends, and it’s time I got back to doing that more often. See you at the next Full Moon Jam (where I will not be in charge)! 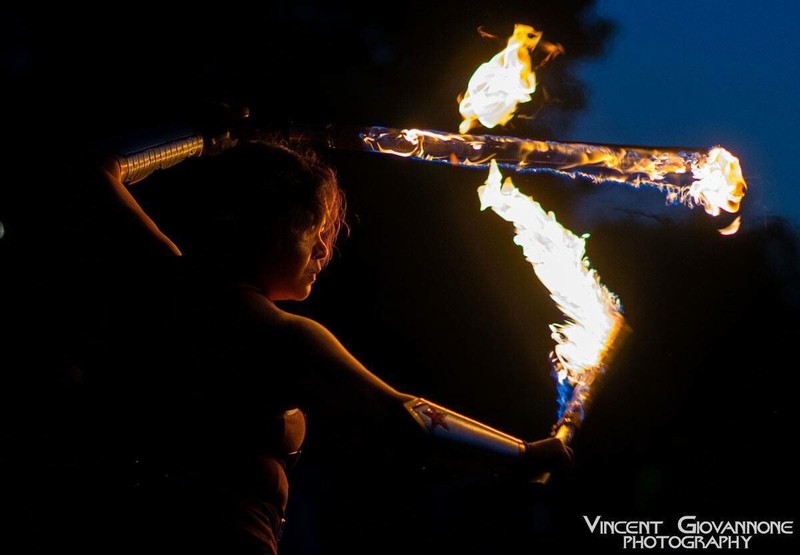 This entry was posted in Fire/Flow and tagged fire dancing, fire spinning, full moon jam by Michi Trota. Bookmark the permalink.